Transmission of power to the floor is seamless via the long-life oil filled planetary gearbox resulting in superb handling characteristics. All HFM models are fitted as standard with our generous oversize Hurricane 1500W drive motor allowing for higher speeds and the use of added weight as required. The long life, low load, oil filled planetary gearbox ensures seamless power transmission to the floor ensuring excellent results. 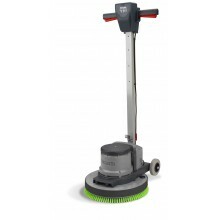 With the range of speeds available machines can be selected to cover the whole range of floor care maintenance be it scrubbing, polishing, buffing, burnishing or spray cleaning. A comprehensive range of accessories is available to cover wet applications, carpet shampooing, vacuum polishing and floor sanding. The Hurricane range is available with a selection of kits, images may show optional items. The NuKeeper single NKS model has been specifically designed for the smaller facilities, yet incorporates all of the highly respected professional features for which all NuKeepers are renowned. 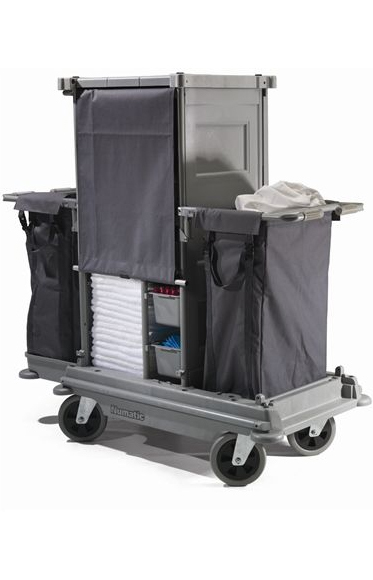 The complete design is based on our Himobility AT chassis, incorporating heavy duty 200mm soft ride castors and all round bump protection. The FF comes equipt with the Flexi Front model with its hideaway cover system.